My grandfather was a very avid reader. He was the one who recommended books to me when I would spend hours just surfing bookshelves in our local library. It was through him that I got familiar with the works of Tolstoy , Pearl S Buck , Charles Dickens and some great Indian authors like Mulk Raj Anand , K.M.Munshi and Jawaharlal Nehru. I had read Glimpses Of World History by Nehru and loved it but somehow never read this beautiful little collection of letters Jawaharlal Nehru sent his 10 yrs old daughter Indira ( later known as Indira Gandhi ) when she was spending her summer at Mussorie , a hill station and Nehru himself was busy working in his home town Allahabad.This set of letters he sent , tell the story of creation of Earth and its evolution. Nehru covers them chronologically with letters on First Living Things , Early Men , Civilizations , Trade, Great Cities and many more. Such is the lucidity of his writing that at one point I felt , wish all books were written in this way.Another intresting point to be noted is that Nehru didnt spoon feed his daughter with all the facts . He just told enough to make her curoius , so that she was initiated in to the quest of knowing more about them. Now, that is what process of learning is all about.Here is my fav part of the book Boys and girls, even grown ups are are often taught history in a peculiar way. They learn the names of the kings and others , and dates of battle and like. But surely history does not consist of battle and few persons who became kings and generals. History should tell us of the people of the country , how they lived , what they did and what they thought .It should tell us of their joys and sorrows , of their difficulties and how they overcame them..With some really great illustrations , it makes a wonderful read not just for kids but also for adults. I can say its a refresher course on things we should know but hardly make an effort to think about..Highly recommended..
Now, I know which book to gift my daughter on her 10th birthday….or may be year before. The Four Stars are not for the content of the book, but for the tone alone. Swami Vivekananda once said, "You cannot teach a child anymore than you can grow a plant. The plant develops its own nature. It also teaches itself, but you can help it go forward in its own way. The role of a teacher is to "loosen the soil a little, so that it may come out easily. Put a hedge around it. See that it is not killed by anything. Supply the growing seed with the materials for the making up its body, bringing to it the earth, the water, the air...and then your work stops. It will take all that it wants by its own nature. So, with education of the child, the child educates itself." And that is exactly what Nehru had done with these letters to young Indira. The letters are not exhaustive, but those provide enough information to ignite the curiosity in a young learner to explore the world of knowledge. "The Mahabharata came long after the Ramayana. It is much bigger book. These were the books written in India thousands of years ago. Who but the greatest of men could have written them? And although they were written so long ago, they live today in India and every child knows them and every grown-up is influenced by them"
این کتاب را وقتی 15 سالم بود خواندم. با توجه به آنچه درباره ی هند شنیده بودم که خانواده ها وقتی میفهمند که دختر دارند یا سقط جنین میکنند یا زنده به گور، خواندن نامه های نهرو به دخترش چنان احترام نسبت به این مرد در من ایجاد کرد که او را برای خود سر مشق و الگوی زندگی قرار دادم و از او همان الگوی پدر-همسری را ساختم که هیچ گاه نتوانستم دز زندگی واقعی پیدا کنم. Each chapter of this book by Nehru refreshes your smile, often inciting tears as well. The beauty of this book lies in its simplicity and purity which stirs up emotions from deep within. Nehru writes to his darling daughter Indira about the vagaries of nature, existence, and basic animal sciences along with essential morals derived from world history and Indian epics, Ramayana and Mahabharata, in the form of periodic letters. Indira would grow up to be the first and only woman Prime Minister of India, and probably the finest India ever saw. A short sweet bedtime read for one and all, it is sure to make your heart melt. 3.5/5If I ever have a kid, I'm going to read him/her portions of this book. Some information, however, is outdated (as you'd expect) but it's pretty great as a whole nevertheless. "We imagine we are so important and little things annoy us and worry us. But what are these little happenings in the long history of the world? It does us good to read and learn something of these vast periods of history because we will not then worry about little things much." - JawarharlalNehru , Letters From A Father To His Daughter...◆ Genre: non-fiction/letters◆ 154 pages and first published in 1930. ◆ Former Indian Prime Minister Jawaharlal Nehru wrote a series of letters in the summer of 1928 to his daughter Indira Gandhi who was in Mussoorie at that time. ◆ The letters were written she was eleven years old so the writing is very simple.◆ I thoroughly enjoyed reading this book. The letters deal with the history of the world, how it came to being, how civilizations evolved and such topics. ◆ If you have always been interested in reading about the historical aspects of the world and have no clue where to start, I'd recommend this book. Nehruji had explained everything in the simplest of the words since it was actually meant for a kid. ◆ It's an educational book so everyone should give it a try and read it.110% recommended to kids. ◆ would i read this again? - yes. These letters are well written to awaken curiosity and love for nature & fellow beings in a 10 year old. Through this series of letters, Nehru has imparted moral values while teaching Indira to treat nature as book. The best thing about the letters was the way he related things(even from the stone age) with what Indira had witnessed in 10 years of her life.Though the letters were written about 90 years ago, the book will open new vistas for children, even today, as pointed by Indira Gandhi.As for a 20 year old, it's like revisiting history lessons. For me, that's a treat. Only the first chapter is more than enough not to let anyone to leave the book there. What was not here? Philosophy, History, Geography, Economics; everything. Mr. Nehru was certainly a great teacher. "Letters From A Father To His Daughter" is a fine collection of letters written by Jawaharlal Nehru to his daughter Indira Priyadarshini when she was 10. Through these letters, Nehru talks to his daughter about the story of the earth, civilisation, nature, history, race, languages, early man, tribes and much more. Written in a style that is amazingly simple, this book is a must read for children aged 8-12. This book opens a child's eyes to the beauty of the world around him/her. As for adults, it is a wonderful flashback of things we learnt a long time ago; things that were never quite this succinctly put. His concise writing in these letters is a marked departure from the lyrically rich works like "The Discovery of India". The illustrations in this book are eye-catching and will add to the reading experience. I highly recommend this book to children; it is timeless and the values that Nehru writes about, are universal. I loved the book and wished I read it when I was a little girl but its never too late for a wonderful as this. The book is voyage of beautiful understandings of JN about creations, existence and worldly affairs. The way he puts it all together and elaborates it, illustrates how families play vital role in reshaping the way we look at each other and understand each other, as well as accept each other with all differences. Beautiful read. Should have read it much earlier. Found it a little too simplistic for my age. But good book nonetheless. I will be gifting this book for my daughter...sure..!! Pt. 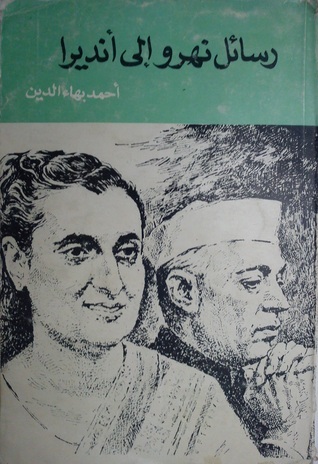 Nehru had got amaging parenting skill.This book is the evidence. Out standing. No wonder what gave Indira Gandhi the ability to lead a nation. Nehru had started sowing the seeds from very beginning. A really good teaching tool to get children interested in the world around them. Personally it's an eye opener for me. Indeed a great start for a journey called Learning! Such a pleasing book! I really do not know if it was the actual form of letters that is published as a book here , they seemed highly edited and censored because it is hard to believe the letters had zero personal information of Chachaji and seemed like only a medium to educate and enlighten Indiraji . But the reading was such a wonderful experience .It was like a quick polishing to the school days education and an enriching summary of whatever I had learnt as a school girl . It is a collection of basic things we learned and a wonderful way to revise them at once with ease.Highly recommended for children. This should definitely be a part of the school education system also , I believe. Jawaharlal Nehru أحمد بهاء الدين - First prime minister of independent India (1947 – 64). Son of the independence advocate Motilal Nehru (1861 – 1931), Nehru was educated at home and in Britain and became a lawyer in 1912. More interested in politics than law, he was impressed by Mohandas K. Gandhi's approach to Indian independence. His close association with the Indian National Congress began in 1919; in 1929 he became its president, presiding over the historic Lahore session that proclaimed complete independence (rather than dominion status) as India's political goal. He was imprisoned nine times between 1921 and 1945 for his political activity. When India was granted limited self-government in 1935, the Congress Party under Nehru refused to form coalition governments with the Muslim League in some provinces; the hardening of relations between Hindus and Muslims that followed ultimately led to the partition of India and the creation of Pakistan. Shortly before Gandhi's assassination in 1948, Nehru became the first prime minister of independent India. He attempted a foreign policy of nonalignment during the Cold War, drawing harsh criticism if he appeared to favour either camp. During his tenure, India clashed with Pakistan over the Kashmir region and with China over the Brahmaputra River valley. He wrested Goa from the Portuguese. Domestically, he promoted democracy, socialism, secularism, and unity, adapting modern values to Indian conditions. His daughter, Indira Gandhi, became prime minister two years after his death.